AlphaEMS offers cost-efficient quick turn PCB assembly services for all types of boards and PCB technologies. Our continual effort to ensure the highest level of accuracy and quality while maintaining low production costs gives our clients an edge in the market. For over a decade, all types of companies have partnered with us for rapid PCB prototype assembly at competitive rates. Once your prototypes are complete, our in-house electronic manufacturing and assembly services are second to none. Our turnkey PCB prototyping solutions cater to your most unique and complex needs and fit within your budget. 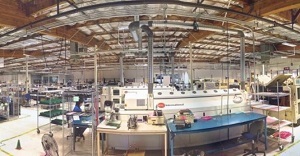 A state-of-the-art PCB assembly facility located in Silicon Valley enables us to deliver on your most challenging requests. Medical, high-end industrial, industrial pc, military, mobile/wireless, networking and semi-conductor equipment, our customers operate in all of these and more industry verticals. Talk to our quick turn PCB assembly experts about your requirements today! AlphaEMS is an ITAR compliant registered, ISO-9001, ISO-13485 and ISO-14001 company. We are known for the highest levels of output quality and customer satisfaction on every project. With ongoing investments in the latest assembly and testing equipment, a highly qualified and experienced staff, and robust management processes ensure our delivery precision and repeatability. You can expect the results to conform to your exact specifications and meet the highest workmanship standards every time. If you are looking for the best results, the AlphaEMS quick turn PCB assembly service offers clear advantages. Use our quick turn PCB assembly services for prototypes and other time-sensitive projects. Call us at 510-498-8788 to learn more or inquire online about our quick turn PCB assembly services.